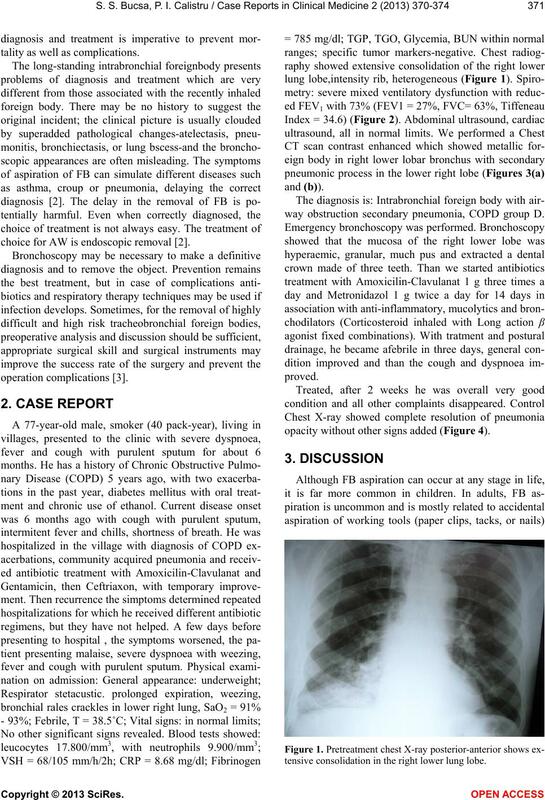 increased airway inflamation and high mortality. mens of antibiotics, but they have not helped. embedded in granulation tissue formed around. infection cause pneumonia, atelectasis, abscess or fever. tality as well as complications. choice for AW is endoscopic removal . 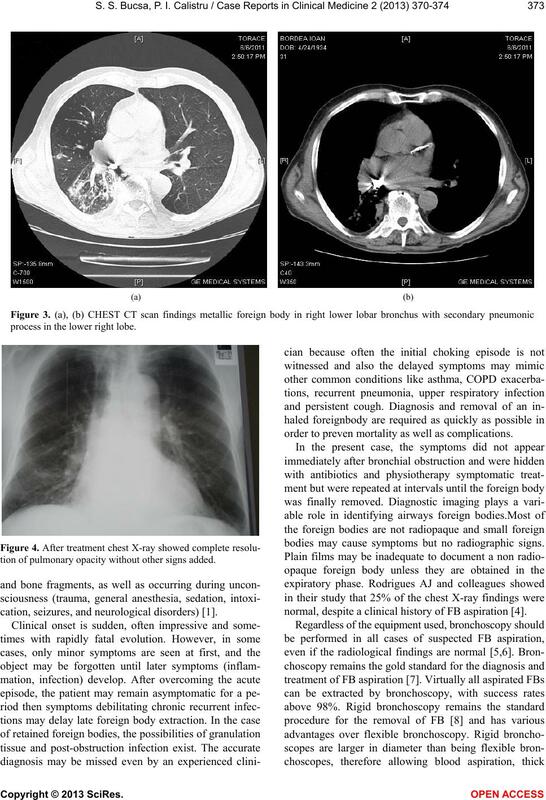 way obstruction secondary pneumonia, COPD group D.
opacity without other signs added (Figure 4). process in the lower right lobe. 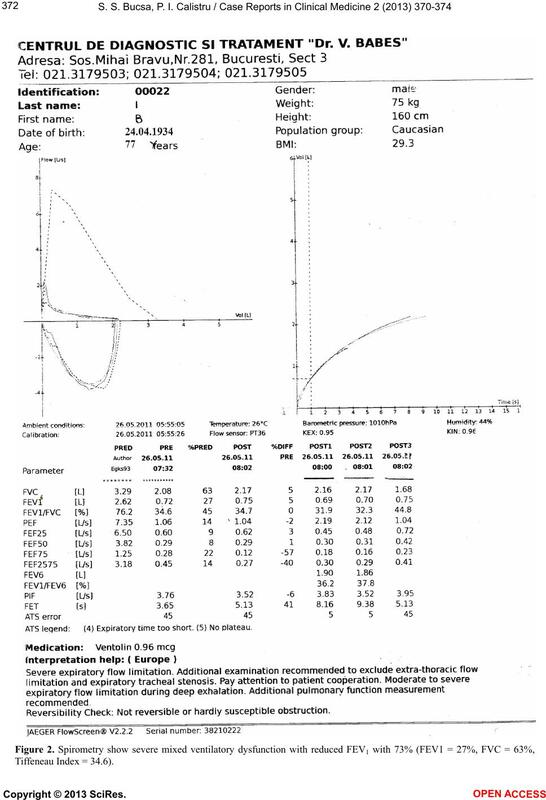 tion of pulmonary opacity without other signs added. cation, seizures, and neurological disorders) . order to preven mortality as well as complications. bodies may cause symptoms but no radiographic signs. normal, despite a clinical history of FB aspiration . secretion aspiration, and patient ventilation. gnosis and treatment of stable adult patients . 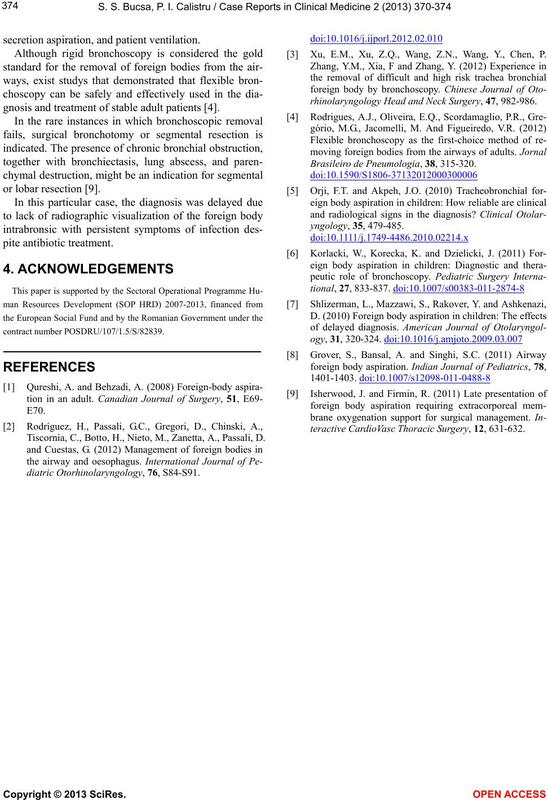 Tiscornia, C., Botto, H., Nieto, M., Zanetta, A., Passali, D.
 Xu, E.M., Xu, Z.Q., Wang, Z.N., Wang, Y., Chen, P.
rhinolaryngology Head and Neck Surgery, 47, 982-986. 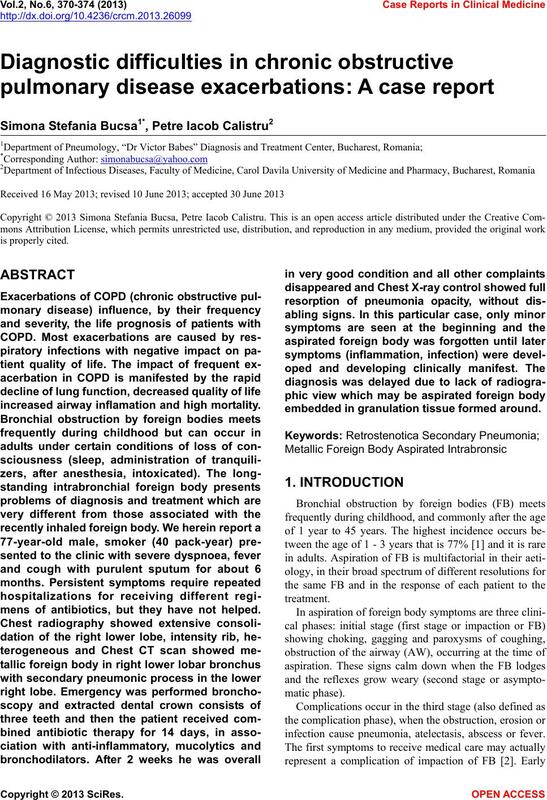 Brasileiro de Pneumologia, 38, 315-320.
teractive CardioVasc Thoracic Surgery, 12, 631-632.